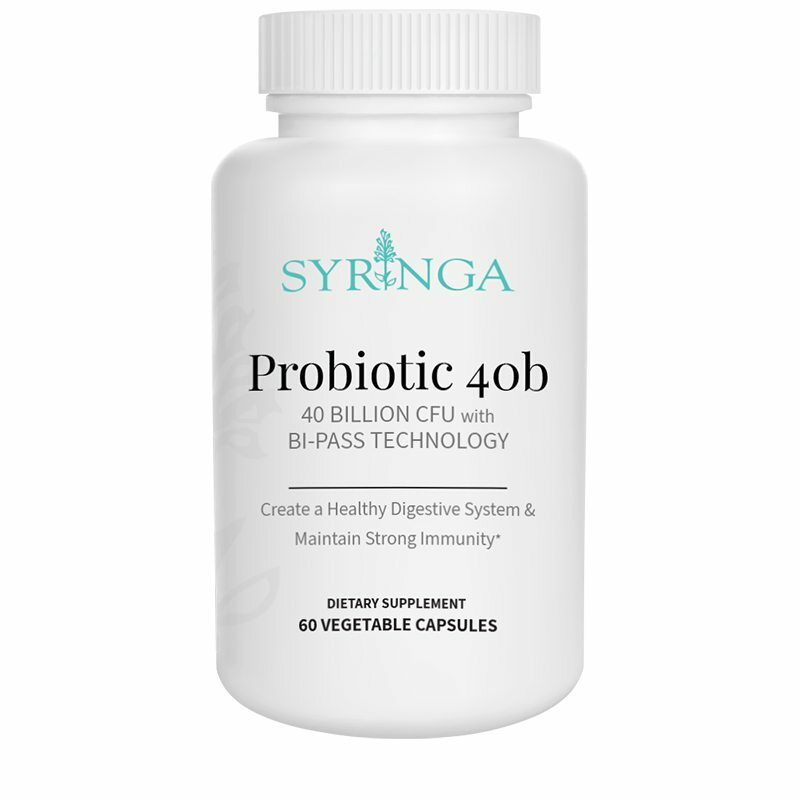 Probiotic 40b | Syringa Inc.
Syringa Probiotic 40b offers a balanced spectrum of live organisms. 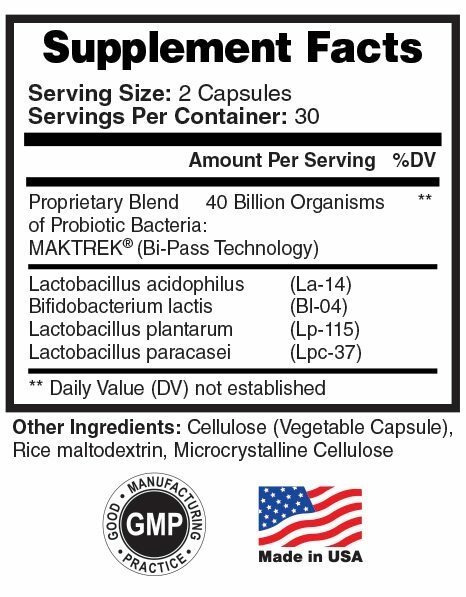 Probiotic bacteria are critical for healthy digestion, help maintain the integrity of the intestinal lining, support proper intestinal motility and participate in the detoxification process. A healthy body and mind starts with a healthy gut. 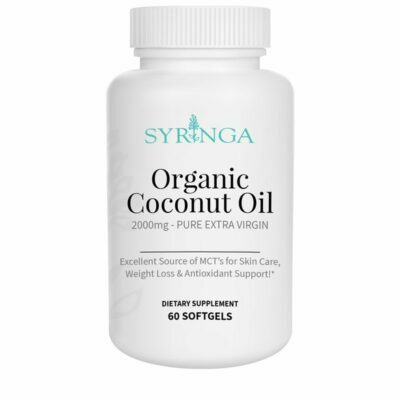 At Syringa our motto is “Help the Body Help Itself” and a healthy gut and digestive tract is fundamental to doing just that! 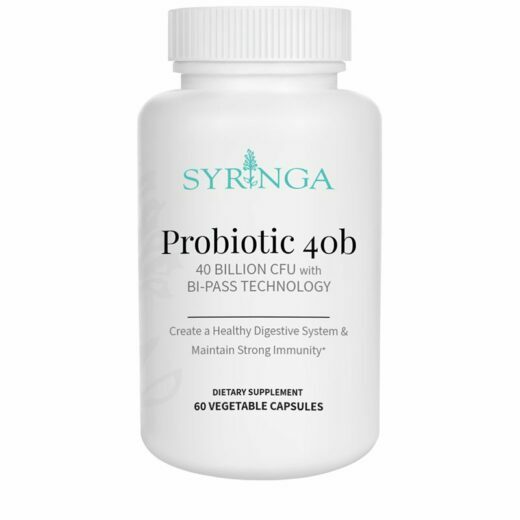 I have a tried a few other brands of Probiotics, NONE compared to Syringa’s Probiotic 40b!!! 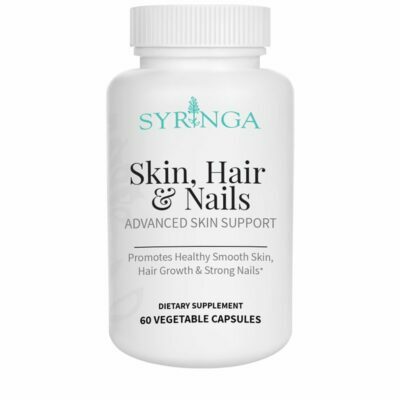 Thank you Syringa!!! Keep up the good work. Directions: As a dietary supplement, take two (2) capsules once daily. 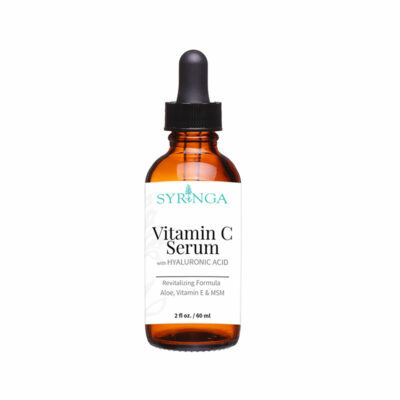 For best results, take one (1) capsule during the day and one (1) in the evening. Repeat the process daily. Warning: Keep out of the reach of children, do not use if safety seal is damaged or missing. Store in a cool, dry place.